Finally did it. 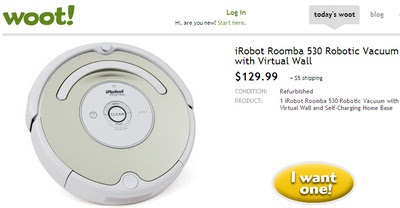 Went and bought a Roomba at Woot.com. Waiting for hate mail from Stillwater Roomba resellers who are wondering why I didn't support the locals.